Bring 5 friends and take $1,000 off. Bring 8 friends and come for free! Please see our WOMEN IN LEADERSHIP retreat page for more information about the retreat! We know that not everyone can afford to attend our Women In Leadership Retreat. Yet we have a passion for celebrating, supporting and empowering women in leadership, and we are committed to making our retreats accessible for everyone, across socio-economic lines! 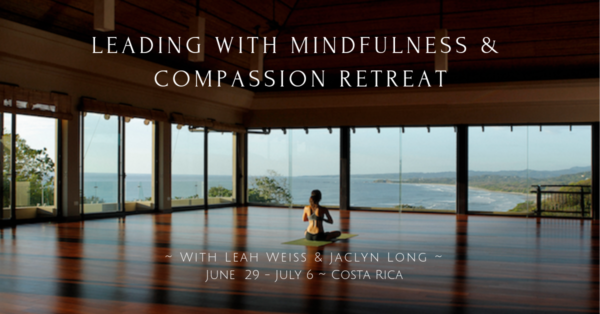 So – we would like to invite you to attend our retreat at a greatly reduced rate of $1,000 off if you bring 5 friends – or for FREE if you bring 8 friends! Please Note: Offer includes 7 nights accommodations in a shared Eco-Cottage, all meals and all workshops. Offer does not include airfare, transfers, massages, surfing lessons or excursions. The participant who brings 5 or 8 friends can either stay in a shared Eco-Cottage, or can elect to stay in a single Platform Tent, or upgrade to any other type of accommodation by paying the difference in rate. When Krassi Harwell, one of our incredible yoga facilitators, was a young adult, she was given this same opportunity to attend the retreat at no fee if she brought friends. It was because of this kind of discount that she was able to experience a truly incredible retreat at such a young age. We want to make this happen same opportunity possible for other women. We hope you will consider! Encourage 5 of your friends to register by May 1st. (Let them know they will each get $200 off for our “regular” Friend Discount, and tell them to write your name as a “friend” on the registration form.) You pay the remainder due LESS $1,000 by May 1st. Encourage 8 of your friends to register by May 1at (let them know they will each get $200 off for our “regular” Friend Discount, and tell them to write your name as a “friend” on the registration form.) You have nothing more to pay! You can stay in an Eco-Cottage for FREE! (You can upgrade your room for the necessary fees, according to our rate chart.) We will refund you the $500 deposit and any payments you have made if you have 8 friends registered by May 1st! If you have any questions, please reach out to Jaclyn Long, Founder & Director of Mind Body Moms. Thank you for helping us to spread the word about our retreat! We are excited to award those of you who have a deep networking circle with a deep discount and / or a FREE retreat!